Awwwwww, jeez. I haven’t heard or thought of Ochoa in many, many years and rightfully so. At the time, the Mets had pretty high hopes with the right fielder but if you were around to catch Ochoa’s career, he didn’t exactly live up to his potential with the Mets, or at any point in the majors. His ratings scale from 1 being the lowest and 5 being the highest were mind-blowing, scouts would have had you believe that Ochoa could have been a multiple time All-Star as well as a Gold Glover. Power: 4 1/2. Not a pure slugger but has the strength to clear the fences. Projects to 15-20 home run production in the majors. Speed: 4 1/2. Has stolen 34 and 31 bases in two of his minor league seasons. Defense: 5. Has worked hard in this area and even took ground balls at third base when asked. The high school Shortstop, he always has been good with grounders to the outfield and has improved in retreating on balls over his head. Ochoa was acquired from the Orioles along with center fielder Damon Buford for Bobby Bonilla & Jimmy Williams in ’95. After playing 34 games with the team’s AAA affiliate, the Norfolk Tides, he later made his MLB debut with the Mets playing in 11 games, with only 37 at-bats. However, he showed potential in that short period as he put up a .297/ .333 / .324/ .658 slash line. He had 11 hits, 7 runs, and 1 2B which goes to show you that “small sample size” is legit. Overall with New York, Ochoa played 206 games with 557 at-bats, 75 runs, 152 hits, 34 2B’s, 4 3B’s, 7 home runs while driving in 52 runs in three seasons. His New York run wasn’t terrible but it did leave something to be desired. In his 605 PA’s, he had a .273/ .320/ .386/ .706 slash line to go along with a 88 OPS+. Now recalling to when I was roughly 10 years old, I do remember Ochoa not exactly being the strongest bat in the line up but his defense was pretty top notch with a laser beam of a throwing arm to go with that in right field of Shea Stadium. During the ’97 offseason, Ochoa was sent over to the Minnesota Twins for outfielder Rich Becker, which in my opinion was a downgrade. Ochoa had his best year in 2000, his age 28 season & at the time was with the Cincinnati Reds. He had a .316/ .378/ .586/ .964 slash and a 137 OPs+ while hitting 13 home runs and driving in 58. He also had 21 2B’s, and 3B’s in his 244 at-bats. Now, I’m not here to knock players (and I’m not knocking Ochoa) because who am I? I just genuinely enjoy looking back and it’s not always going to be the best of the best or even fan favorites, but I believe we shouldn’t forget that 25th guy. 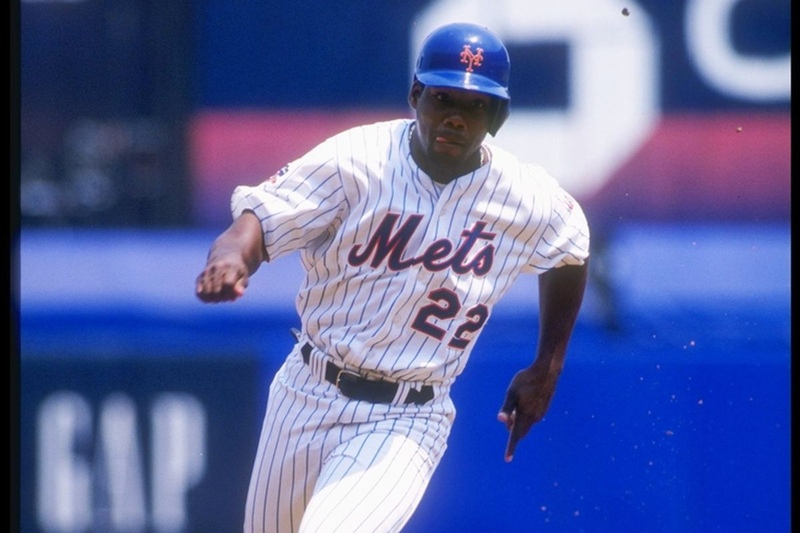 Previous Chili Davis to the Mets?